Hot Pepper Mix | Gurney's Seed & Nursery Co.
A great way to sample many pepper types, ranging from mildly spicy to super hot. This mix includes chiles, jalapeños, serrano, Hungarian hot wax, Anaheim and cayenne peppers. 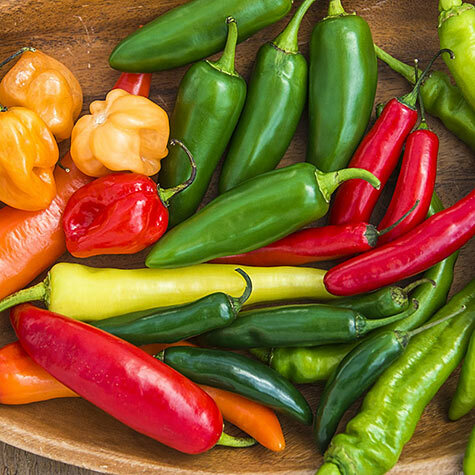 Peppers add flavor to many recipes, including salsas. They're also great for drying, freezing and canning. 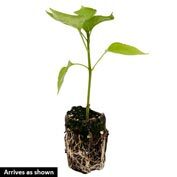 Start pepper seeds indoors about 8 weeks before transplanting into the garden. Pepper plants grow best when planted in full sun and well-drained soil. They can also be planted in Grow Tubs™. Peppers can be harvested any time after they reach full size. For milder flavor, remove the seeds. To dry peppers, thread the fruits on a thin cord and hang to dry. 70 DAYS. Comments: A great way to sample multiple types of hot peppers. 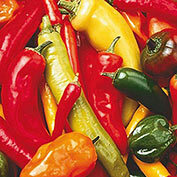 From mild to hot, it includes chile, jalapeno, serrano, Hungarian hot wax, anaheim and cayenne. Wonderful for salsas, canning, drying and freezing.